-Cambridge University, School of the Humanities and Social Sciences Cambridge Humanities Research Grants (with the contribution of the Isaac Newton Trust). From 19 to 23 September, 2016, a workshop dedicated to the study of local primary sources on late imperial China (900-1900) was held in Cambridge. The workshop was organized by Joseph McDermott (Cambridge) and Michela Bussotti (EFEO-Paris), with the collaboration of Alain Arrault (EFEO-Paris), Adam Chau (Cambridge), Claude Chevaleyre (EHESS-Paris), Imre Galambos (Cambridge), François Gipouloux (CNRS-Paris) and Christian Lamouroux (EHESS-Paris). 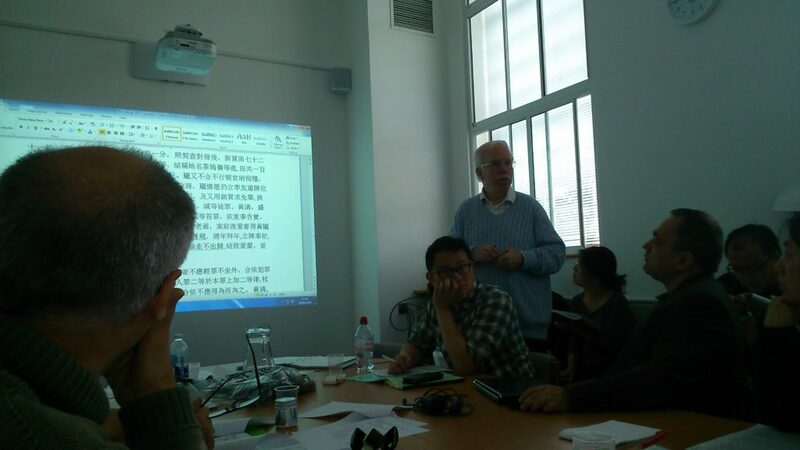 As part of the ongoing Cambridge-PSL programs dedicated to encourage collaboration between research students and teachers in Cambridge and Paris, this workshop dealt with the great amount of primary source documentation surviving from the second millennium of imperial Chinese history (900-1900). Much of it remains unpublished, kept in provincial libraries rarely visited by Western scholars. As a result, few Western scholars have had the training to read these often demanding sources with confidence, and this workshop was in part intended to help scholars overcome this problem. The workshop was at least as much intended to foster fresh ways of thinking about historical methods and methodology as about reading historical sources accurately. Twenty-five participants (see the list) had received in advance annotated copies of the texts, so that all could be able to contribute to the reading and discussion of each document at each session. The workshop was designed for all to learn and teach together. 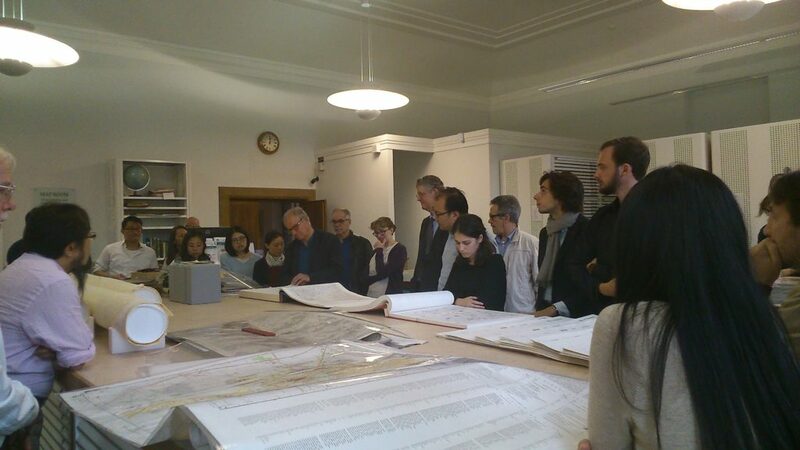 The workshop’s sessions took place in a room adjacent to the Aoi Pavilion for East Asian Books inside the Cambridge University Library. Teachers and students from Paris were accommodated and fed at St John’s College, Cambridge. For five consecutive days scholars from both Cambridge and Paris in turn led the workshop’s other participants through a careful reading and analysis of instructive examples of primary sources, such as lay associations’ bylaws, legal cases, wills, contracts, account books, religious associations’ records, water control inscriptions and genealogies. Two sessions were held every day, one in the morning and one in the afternoon (see the program), focused as much on analysis as on translation. The week of seminars began with a presentation about available Chinese maps and maps of China by Charles Aylmer, curator of Chinese books at the Cambridge University Library. 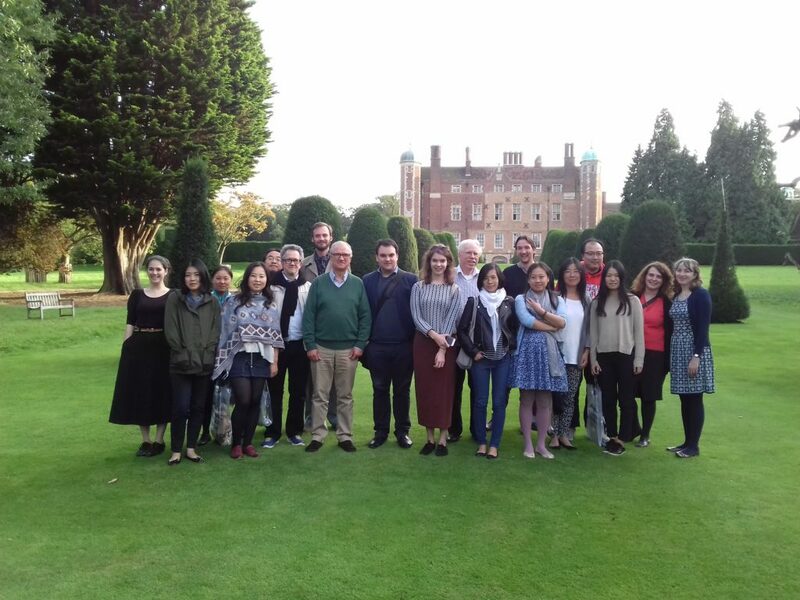 The final afternoon was devoted to a discussion about the overall findings from this collective work and capped by a visit to a Cambridge garden.